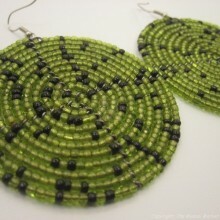 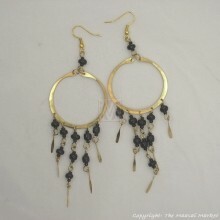 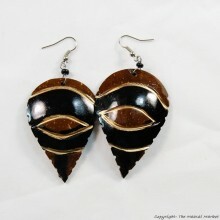 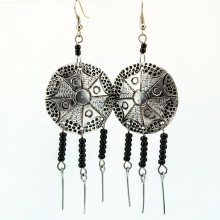 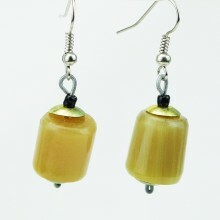 These beautiful earrings are made of brass, Maasai beads and porcupine quills. 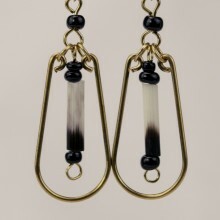 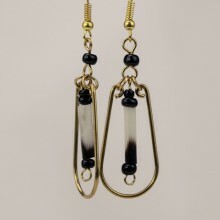 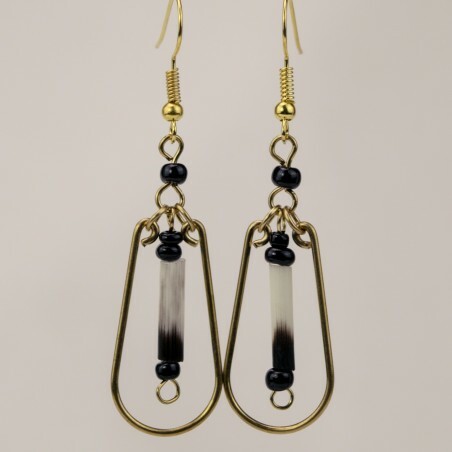 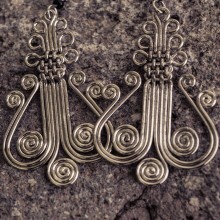 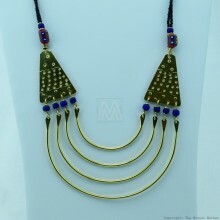 A U-shaped brass wire dangle has a porcupine quill hanging down the center. 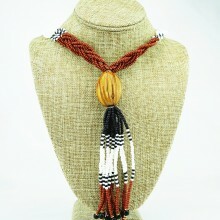 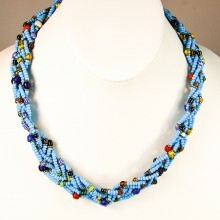 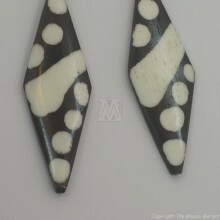 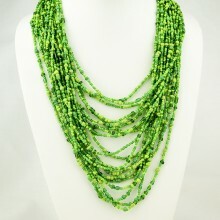 Black Maasai beads add the perfect touch. 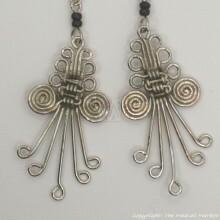 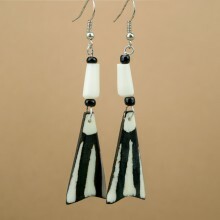 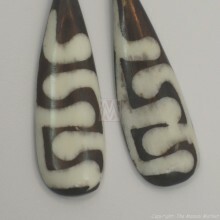 These porcupine quill earrings were handmade in Kenya--the one you will get might be slightly different. 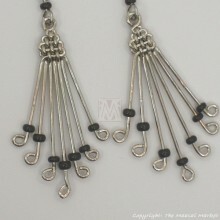 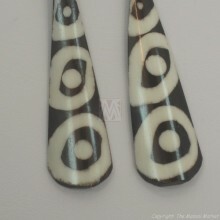 Measurement: dangle is approximately 1 1/2", whole earring 2 1/2"